1 Put the mixed berries in a large bowl and roughly crush with a fork. Add the strawberries and 1 level tbsp sweetener and stir together. Divide half the berry mixture between the bases of 8 ice-lolly moulds, then divide over the crushed meringue. 2 Whisk the fromage frais with the remaining sweetener and vanilla extract and spoon over the meringue. 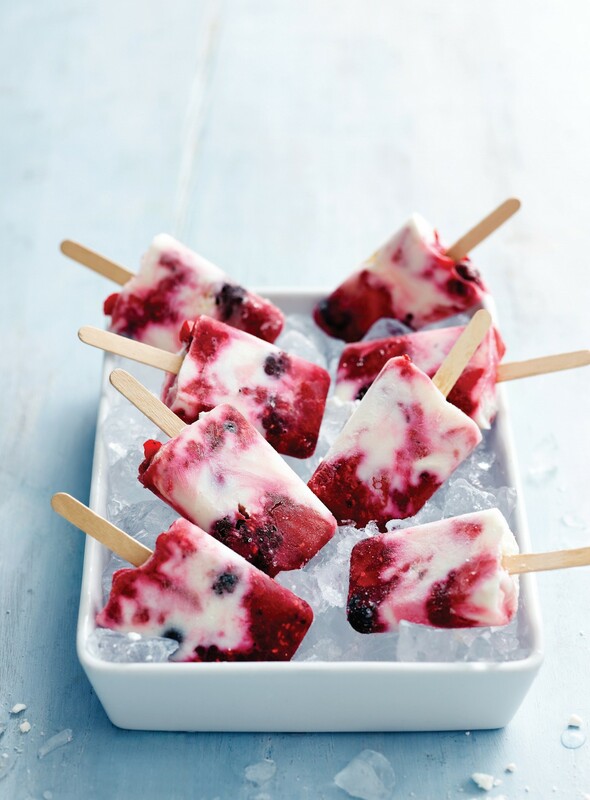 3 Divide the remaining berry mixture between the moulds, then insert ice-lolly sticks and freeze for 4-5 hours, or until set. To serve, briefly dip the moulds in warm water for a few seconds to release the lollies. 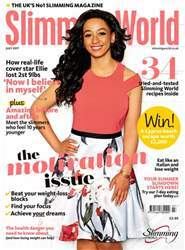 July’s Slimming World magazine is the ultimate motivation issue! Be inspired by four super slimmers who feel 10 years younger since losing more than 21st between them, then get your own slimdown started with our 7-day eating plan. Stuck in a recipe rut? Shake things up with our lightened-up Italian classics and clever iced desserts. And discover how both mindfulness and music could bring something new to your weight-loss campaign. We’re here to help you freshen up your focus and achieve your weight-loss dreams. From plateau to let’s go!